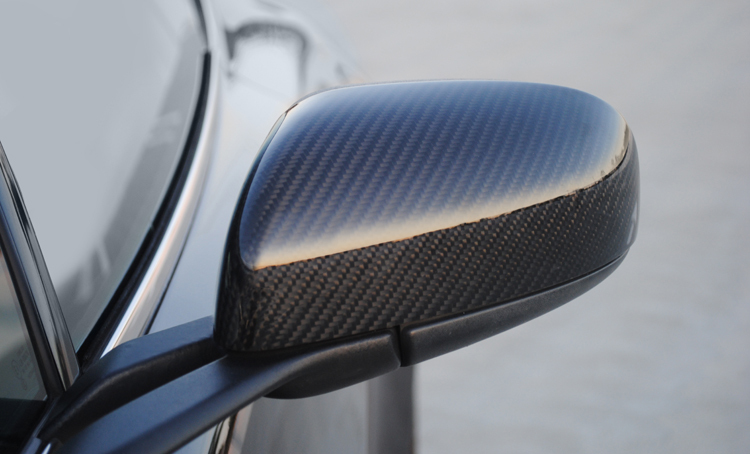 The carbon fiber mirror caps have been developed for the Aston Martin Rapide and are the same as the carbon fiber mirrors found on the DBS Carbon Black Edition. The mirrors are complete replacements, not just covers for the current body color mirror caps on the current cars. These mirrors are simple to attach and come with instructions.